b. 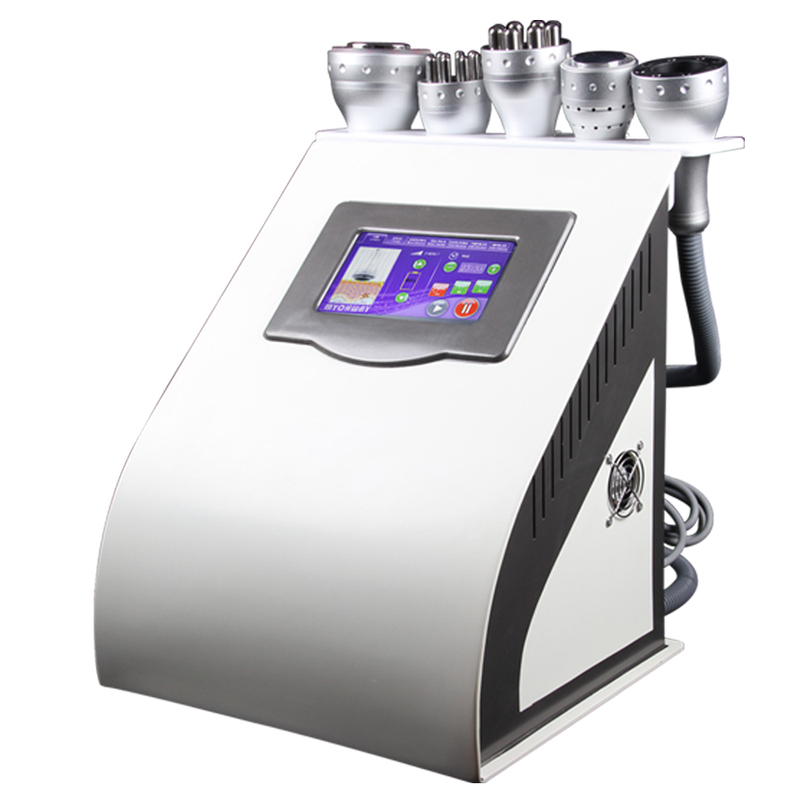 Professional treatment, good for all spa, salon and massage place, pay one machine money to get multifunctional. c. No side effect, the treatment is non-surgical, non-invasive, no bleeding or painful. The handle with vacuum and bipolar rf function, the system may directly reach the deep-seated fat body and have the excellence of targeted positioning RF, fat cell tissue may generate friction heat, increase local temperature and remove excess fat and toxin from the body through sweat gland. Good effects by vacuum rf: Enhance blood circulation, accelerate the decomposition of fat, take away wastes, enhance the effect of removing cellulite, effectively improve the state of areolar tissue, remove stubborn fat and improve the sufficient absorption condition of diet products. The 40K cavitaion 1.0 handpiece is capable of producing voids in fat cells at a frequency of 40khz, allowing fat cells to be blasted, thereby achieving body weight loss. It can be used in areas such as the belly, arms, and thighs. 10-Polar RF handpiece can fast heat on the skin, make dermal fat layer of skin thicken, decreasing wrinkle depth, finally get the effect of boy shaping and slimming, tighten and whiten skin. It fits all skin types of body areas like arm, hips, backs, thighs, stomach. 8-Polar RF handpiece is mainly used to generate heat 50-60 ℃ from radio frequency to get in skin fat cells, achieve the effect of weight loss, also make skin more blonde and smooth. It is mainly used on body slimming, cellulite removal. Best for all big body area like arm, hips, backs, thighs&stomach. Three polar RF handpiece can fast heat dermis by using RF radio frequency to synthesis of collagen, resulting in the skin is stimulated and the muscle tension is increased, finally achieving wrinkles removal, skin rejuvenation, facial lifting. It is best for face, neck. Biopolar RF handle can fast create warm on skin, accelerate blood circulation and synthesis of fibroblasts collagen, revert to the original compact, prevent skin aging, restoring skin elasticity, facial improvement. It is best for nose&eye's around. Cooling therapy hammer mainly relies on air cooling to maintain and repair the skin. It can reach 5 to 0℃ to make the skin faster to shrink pores, allowing the skin to quickly lock in moisture and reduce allergies, also its blue photon can calm and diminish inflammation. It can treat all the area of face body.